We missed posting on the last Dart Kart Club race for our season. In a quick, Saturday was nearly rained out but the thanks to everyone working together to adjust the schedule was 2 rounds of practice and everyone got to race. Jason finished first in both his classes, though he only drove one kart, with two transponders, he finished .001 behind himself. Sunday was nice and dry. Jason, put the road kart through its paces and kept it up front for the win. The racing highlight of the weekend was the 4 Cycle Junior race on Sunday. 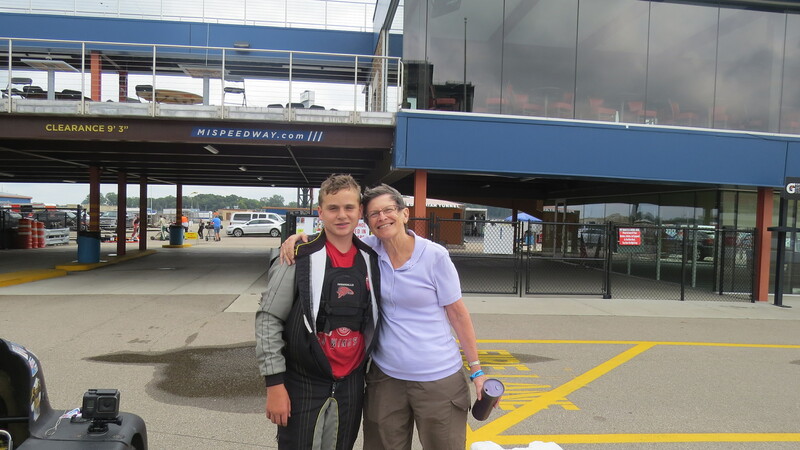 While he was the only one in his class but he had a great race with some Animal 380 drivers. They were faster on the straights but he would catch them in the in field. He made a good run at running up front a few time but their straight away speed was too much. The other high light was my mom came with and got to enjoy the unique experience of a NASCAR track including a track walk on the road course, something most race fans never get to do. 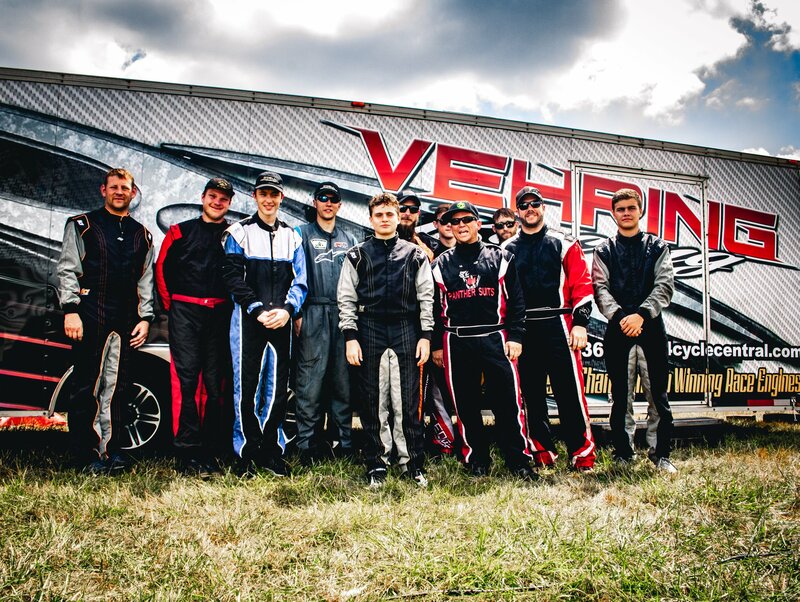 The weekend of September 8th and 9th we returned to Gingerman Raceway for the last race of the 2018 Championship Enduro Series season. It was also the 2017 CES banquet, Jason received his 2017 championship trophies for Sprint Jr and Animal Junior. Congratulations Jason! The sprint kart was fast all weekend and gave us no trouble, so not much to tell there. Saturday the road kart started off poorly, it was once again struck by carburetor trouble and would not start. We never tested the motor after putting the CES rule carburetor. After replacing the fuel system, took the carburetor apart and cleaned it. The kart was ready for the the first practice session with no time to spare. During practice, Jason reported that the kart was running and handling great. Saturday race one went well but once again we were off pace because of gearing and he finished 10th. For race 7 we moved up a tooth and he was able to run with the front pack again and finished 7th. Racing on Sunday was more challenging, the road kart started handling poorly. A seat mounting nut fell off and after it was fixed the kart was never the same. It was still fast but was not cornering without sliding around more then he liked. Race 1 was OK he was still able to hang with the front make and took 6th trailing 4th by a few thousandths. I made some handling adjustments for race 7 but ended up made things worse. He ran fast but off from the front pack. During the last lap he pushed too hard and the kart refused to turn driving off into the grass. Others had worse trouble so he still finished 10th. In hind sight I wonder if the loose bolt on the seat was good for setup. I think I can find a way to mount the seat with some more freedom of movement but not so much Jason is loose in the kart. This was the last race of the season and Jason was the Championship Enduro Series 2018 Animal Junior and Sprint Junior Champion. I don’t know where he would fall if he was ranked with the Senior class he raced with all season but I would guess somewhere between 7 and 9th. Next year we hope he can run for points with the Senior class. 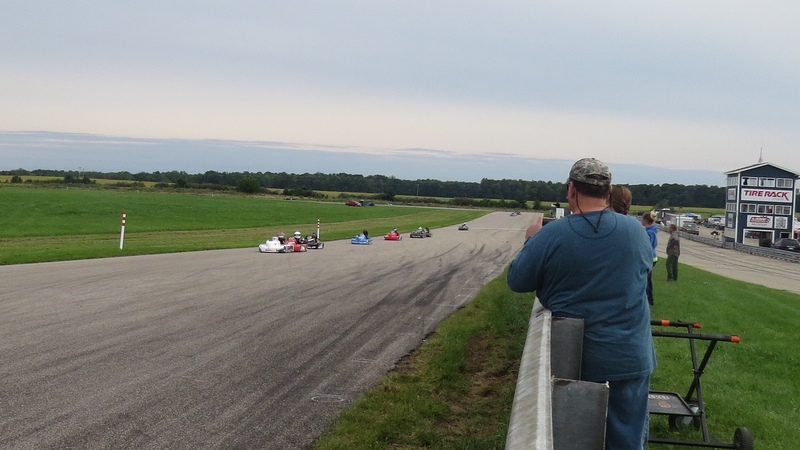 The next race it the Cup Karts of North America Nationals at New Castle Motorsports Park. This will be our first visit to one of the most popular and important tracks in the country. Entries are expected from all over the country and there will also be a contingent from Canada making for international competition. 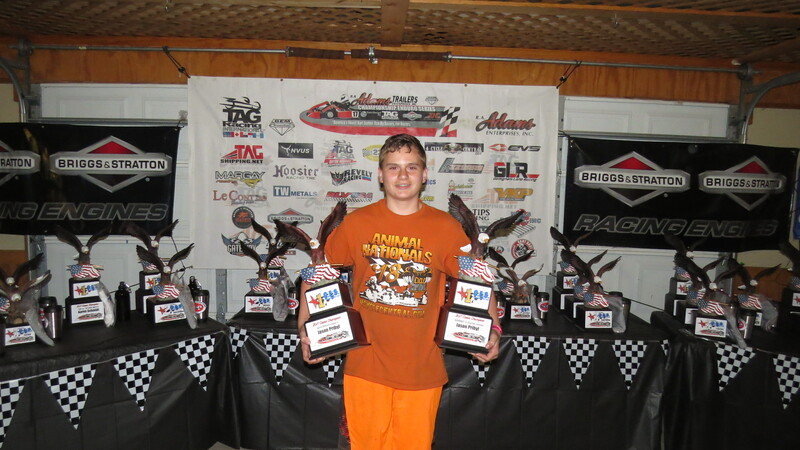 Thanks to the folks in what has been recently named Animal Nation for allowing Jason to race with you. He has learned so much from you all both on and off the track. Dave Larson, congratulations on 30 years of the Championship Enduro Series. Thanks to Regan Vehering at 4 Cycle Central for the great motors, good luck with sled season. This entry was posted in Racing by ChiefDuck. Bookmark the permalink.